Hi, I'm Deborah Gilbert (on the right) and I run Jo Jingles classes in Plymouth, Ivybridge, Hemerdon, Tavistock & Saltash. I have had a passion for performing from a very early age and studied Ballet and Tap as a youngster whilst performing in dance shows twice a year. My journey with Jo Jingles began as a parent attending regular classes with my first daughter, Jessica. She absolutely loved it and so inspired by the classes I soon became a Class Teacher for Jo Jingles Plymouth. Following the birth of my second daughter, Amelie, I left in 2013 to pursue a new position with the University of Plymouth. However, I couldn't hang up my jingling shoes for long and jumped at the opportunity to purchase the business with my husband’s support in May 2016. I have a passion for the care and development of pre-school children, and believe each child should have the opportunity to develop from an early age. 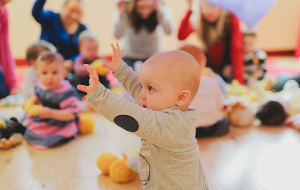 Jo Jingles provides this opportunity, through a structured approach to music and movement. Have been going to Jo Jingles Crown Hill since Phoebe was just 3 months old. She is now 2.5 years & still loves it. Have been going to Jo Jingles Crown Hill since Phoebe was just 3 months old. She is now 2.5 years & still loves it. Vicky is so good with her and all the toddlers. Today was also my 4 week olds first Jo Jingles experience. Never too young. 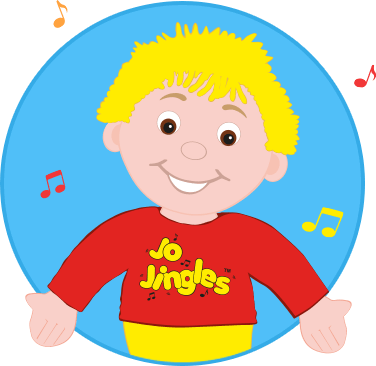 Have started Jo Jingles this term and my Daughter is coming out of her self more and more each week, picking up on the different songs and learning to tidy up. Looking forward to coming to lots more sessions. Literally the best baby group we go to! It's so much fun and that's just for the mums! Literally the best baby group we go to! It's so much fun and that's just for the mums! Deborah goes out of her way to make it a really relaxed and lovely environment for everyone. Love all the music and songs we sing and Henry really enjoys himself. Five stars. We love going to see Jo every Monday in Saltash! Deborah is great and really engages with the babies and makes it so much fun! We love going to see Jo every Monday in Saltash! Deborah is great and really engages with the babies and makes it so much fun! Leo loves going and enjoys all the songs. I even sing the songs to him at home! I've recommended it to all my mummy friends. We've been to four classes so far and absolutely love it!! We've tried a few classes over the last couple of months but this is definitely..
We've been to four classes so far and absolutely love it!! We've tried a few classes over the last couple of months but this is definitely mine and my sons favourite! We love the different songs each week and the interaction using their different senses. Deborah is an amazing teacher...you can see how much she is enjoying her work! 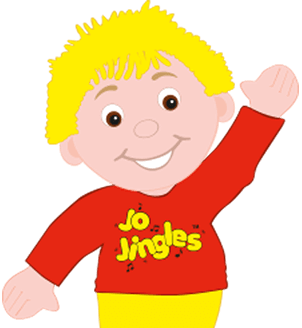 Have already recommended Jo Jingles and will continue to do so. 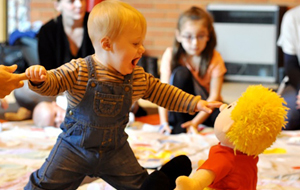 Charlie's reactions are truly memorable moments to treasure and the sessions are helping him to develop such a range of skills from listening, sound, movement & social just to name a few! All this adds to help him be such a lovely happy little boy. Looking forward to our next week. Archie has loved Jo Jingles right from 3 months old! So much so that he now walks me across the room so that he can get to Jo straight away! It is nearly 7 years since I first Jingled with Sarah and nearly the end of our Jingling journey as Nathan starts school this year. It is nearly 7 years since I first Jingled with Sarah and nearly the end of our Jingling journey as Nathan starts school this year. Never mind the children - i have loved every minute of it! Watching my children's love of music grow, having fun and making new friends myself along the way - what's not to like! Fortunately the children do love it too and look forward to it each week especially when the instrument is an extra loud one! We absolutely love Jo Jingles and we're only the second session in!! We look forward to it every week. We absolutely love jo jingles and we're only the second session in!! We look forward to it every week. Kylie is only 3 months old and really enjoys it! She's very alert to listening to the music/ and playing with the instruments. It also give myself more songs to sing when we're at home! She loves 'round round the garden' and the 'hello' song where jo comes round to so hello! She enjoys the 'winding down time with the bubbles and cuddle time with the bunnies! It's so lovely to see her enjoy! Thank you!! My son Thomas has been going to Jo Jingles classes in Ivybridge since he was seven months old and thoroughly enjoys the sessions. My son Thomas has been going to Jo Jingles classes in Ivybridge since he was seven months old and thoroughly enjoys the sessions. He is rapidly approaching his third birthday and still as enthusiastic. Claire makes the sessions fun for the children and they love Jo's box - can they guess what is making the noise? We bought my son a 'little Jo' and he goes everywhere with us. 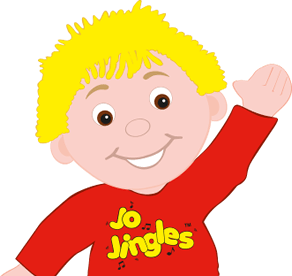 If we ask him what he'd like to do for the day he invariably says 'Jo Jingles'. I have been meaning to contact you for a while to say thank you so much for the lovely times we had with Jo. I have been meaning to contact you for a while to say thank you so much for the lovely times we had with Jo. Hannah still misses the group and we have to put the Jo Jingles CD on the minute we get into the car! I have been trying to find a way of coming back as Hannah seems to miss it so much and clearly doesn't enjoy the alternative as much, but I am not having a lot of luck at the moment. I have looked at the other days you do but they are rather a trek from Tavi where we are from Dec. Its a shame, but i'll keep looking and maybe we can rejoin when Hannah's sleeping patterns change once more. Anyway, I just wanted to let you know what an impact you had on our little girl and how much she still enjoys singing and dancing with "Jo"
It's been ages but here we are finally settled in the north of Australia where it is very hot and humid. It's been ages but here we are finally settled in the north of Australia where it is very hot and humid. Jack is dancing around to Jo Jingles so I thought it a good time to finally email you with the photos I promised. They were taken in December, I can not believe it has been 3 months already. We are finding it challenging settling down in Darwin - there's NO Jo!!! or music classes so the DVD comes out quite often, Jack says "Jo Jingle" now, he has all his instruments and still dances and plays to the songs. Unfortunately it makes me cry every time, we both dance madly around to Wind the Bobbin Up and I usually collapse on the living room floor in tears. I miss the UK and my dear friends so very much!! I just thought you might like to know that Isaac is absolutely delighted with his bells and maracas. I just thought you might like to know that Isaac is absolutely delighted with his bells and maracas. We had to go shopping after the session on Wednesday, he played the bells all the way to the shop in the car, all round the shop and all the way home! He then insisted on watching his DVD and played along with bells and maracas to all the songs. We just about managed prise them out of his hands to give him a bath and put him to bed. Today he insisted on taking his maracas to bed for his nap :). He has been running into the kitchen saying "shake, shake, shake". The instruments have definitely made his week, so thank you for getting them for him.